Another year has flown by, and it seems that the more books I read, the more there are that I want to read. I see that my reading tastes are changing: I no longer have the patience for the flowery details of literary fiction, nor anything sad. But I still read a lot of non-fiction, both Jewish and secular, about character development and thinking and acting more kindly. ©2017 by Jessica Deutsch. All rights reserved. 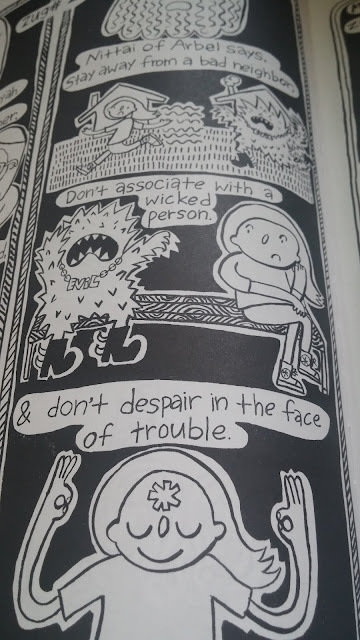 Used with permission of Print-O-Craft Press. I found my copy at the Israel Bookshop in Brookline, Massachusetts, but it can also be ordered through the publisher. Because there are several cycles, I anticipate enjoying the book for at least one cycle of every summer. 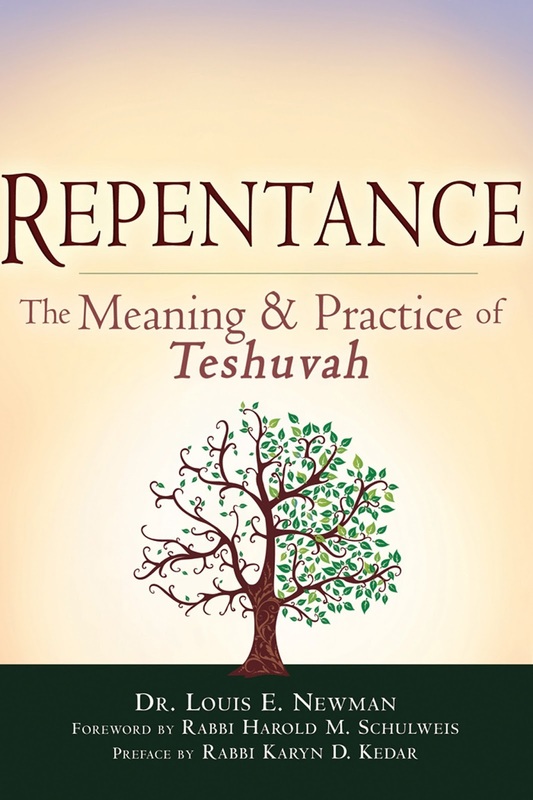 Repentance: The Meaning and Practice of Teshuvah by Dr. Louis E. Newman (Jewish Lights, 2010) is a great book on the subject for those who really want to understand the process of repentance and make change. Newman draws on classic sources like Rav Soloveitchik's On Repentance and Rav Kook's Lights of Penitence. He quotes non-Jewish sources, and adds his own insights: "Through the process of teshuvah we evolve morally, becoming the sort of people who can no longer conceive of falling back into the old patterns of misconduct that characterized our past." Although a little over 200 pages, a careful reading, with time to absorb the ideas and approaches, will take some time. This book is highly recommended to those who are looking to identify patterns and break them. 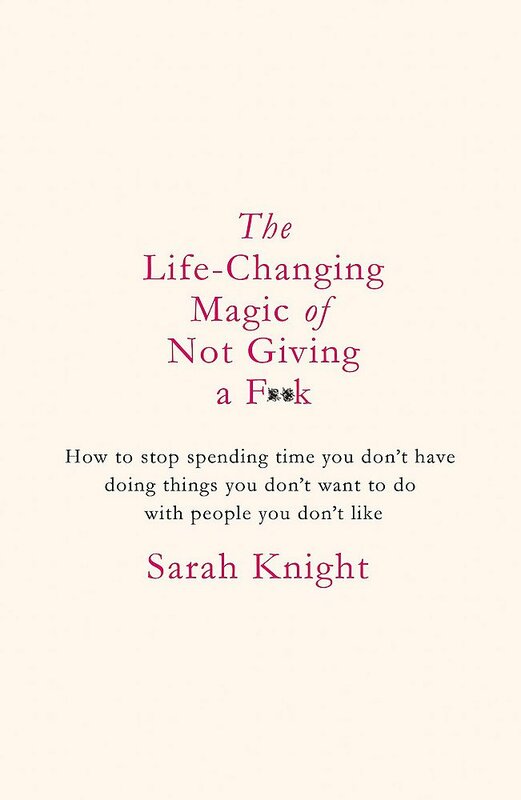 Sarah Knight's book title may off put some, but The Life-Changing Magic of Not Giving a F**k (Quercus, 2015) is a straight-forward approach to using your time more efficiently. Much like The Life-Changing Magic of Tidying Up: The Japanese Art of Decluttering and Organizing by Marie Kondo (Ten Speed Press, 2014), and upon which Knight bases her method, if we are spending time doing things we don't want to do, we have to sort through our lives, get rid of the things we don't absolutely love, and fold the rest neatly for easy access. Obviously the book is filled with f-bombs, but it also reminds us of the famous words of Rabbi Hillel, "If I am not for myself, who will be for me? And if I am only for myself, what am I? and if not now, when?" (Pirkei Avot 1:14). Funny and full of examples, it will take some practice (and budgeting) to prioritize (translation: decide what things in your life are worthy of f**ks), but it really is life changing to politely reclaim your time. 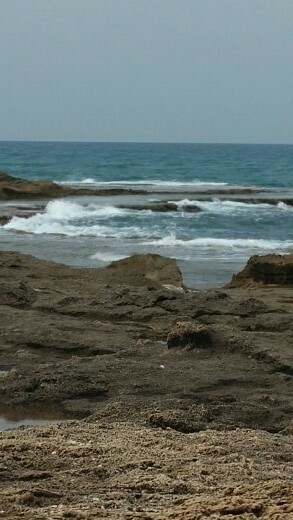 I recently went to a retreat at beautiful Dor Beach (located between Hadera and Haifa), and I met the beautiful author of Heart 2 Heart Healing (self-published, 2016). Shira Chernoble is a pastoral counselor who studied under Elisabeth Kubler-Ross, and practices a unique method of healing that incorporates pastoral counseling, shiatsu massage therapy, and aromatherapy. Her book's subtitle is "Stories of Hurt, Healing and Hope in Coping with Chronic Illness and Death." I would not say this is a happy read, nor one I would pick it up off the shelf, but the stories of real people coping with challenges will give strength to those in similar situations. 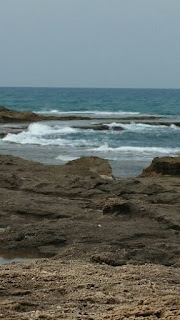 Elul is a time to review the past year and think about changes for the coming year. So for me, it's a reminder of what one person can do to make a difference in the world, especially with grieving souls. Shira started the Neshama Project in 2014 to distribute a custom-blended therapeutic oil to "people grieving for lost family members or dear friends." For more information, Shira can be reached at neshama101@gmail.com. Thank you to super colleague and friend Kathy Bloomfield for suggesting The Outlaw by Nancy Vo (Anansi Press, an imprint of Groundwood Books, 2018). The tag is that "the outlaw leaves behind a trail of misdeeds and then suddenly disappears. But one day, a mysterious stranger rides into town, and things begin to change." Although probably not considered a "Jewish book," the story is about repentance and making amends. The illustrations "were done with ink, watercolor and newsprint transfer on special paper, using newspaper clippings and fabric patterns from the 1850s and 1860s, and the text is set in the font commonly found on 'wanted' posters." The text and illustrations -- a dark scheme with splashes of color-- complement each other perfectly. 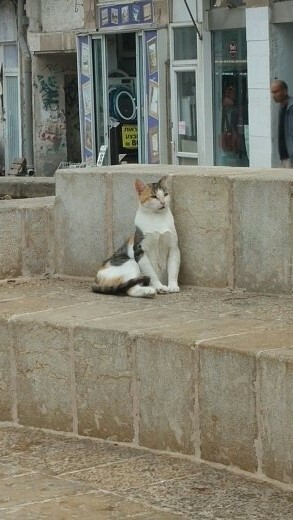 And finally, what can we learn from The Real Cats of Israel appropriate for Elul? Well, I found a great post at "Notes from a Jewish Thoreau" about Jews and cats. The Talmud states that dogs know their master, while cats do not. Cat owners figured this one out on their own. Elul is a good time to think about serving our Master, God, in all that we do, so, in this case, do not take the example of cats.